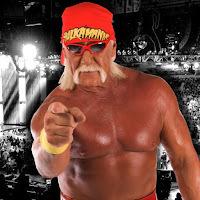 Hulk Hogan Posts WWE Return Teaser? WWE Hall of Famer Hulk Hogan took to Twitter this week and posted the following message, causing some fans to speculate on some sort of WWE return for The Hulkster soon. As noted, Turki Al-Sheikh, who is the Minister and Chairman of the General Sports Authority in Saudi Arabia, tweeted out a photo of Hogan, which is naturally leading to speculation that he will be appearing at the upcoming WWE Crown Jewel event on November 2nd.